Fire and Ice is pleased to participate in the book blast for Becoming Lady Lockwood by Jenny Moore. I’m particularly excited for this book since I had the amazing opportunity to take Jennifer’s author photos. Read my review here. Amelia Beckett is delighted to be a widow. Married by proxy to a man she’d never met, Amelia recognizes that a fortuitous entry into widowhood frees her from meddlesome chaperones and matchmakers. Heiress to her mother’s sugar plantation in Jamaica, she happily anticipates working in a man’s world, with the additional credibility of her new title: Lady Lockwood. But with the arrival of Captain Sir William Drake, her plans quickly go awry . . . William has traversed the Atlantic with one purpose. If he cannot prove that Amelia’s marriage to his brother was a fraud, she will be entitled to a sizeable portion of his family’s estate. He is determined to return this duplicitous Lady to London for an official hearing, and he carries with him a letter that will ensure her cooperation . . . Left with no choice, Amelia joins the captain on his return voyage to England, and the two quickly find that ship life does not allow for evasion. Amelia and William are ceaselessly thrown together, and amidst fierce storms and ocean battles, what began as antipathy seems to be evolving quite unexpectedly. But as they draw ever closer to their destination, will the impossibility of their circumstances shatter any hope of a future together? The crew released more sails as the breeze quickened, and Amelia watched, craning her neck as her island home, Jamaica, the pearl of the Antilles, gradually became no more than a small green mound on the horizon. A wave of homesickness washed over her. The ship rolled on the larger ocean waves, and she realized that her discomfort was not strictly limited to nostalgia. She was growing increasingly seasick. Just as she reached this realization, she heard steps coming toward her and turning saw Captain Drake approaching. Even though he was completely correct, and her stomach was threatening to empty itself, the lack of compassion in his demeanor put her on the defensive. “Indeed, Captain Drake. While I am touched by your concern for my well-being, I have no intention to retire, as I am feeling quite well.” The ship pitched again, and Amelia’s stomach pitched along with it. Did the man’s arrogance know no bounds? Amelia felt her head spin in a wave of dizziness, and the captain grabbed onto her elbow. She wrenched her arm from his grasp. “Captain, I am not in the least ill.” She spoke through clenched teeth, afraid that if she opened her mouth, the contents of her stomach would make a most unwelcome appearance. She rested her hand in a manner that she hoped appeared casual against the netting of hammocks lining the rail of the ship. But truthfully, besides her determination not to allow the captain to order her about, it was the only thing holding her up. “Thank you, Mr. Fletcher. That would be most welcome. How very gentlemanly of you.” She looked toward Captain Drake and narrowed her eyes. A slight smile tugged at the corner of the captain’s lips, and Amelia found that it infuriated her. But when she opened her mouth to tell him so, her stomach betrayed her, and she was horrified to see her breakfast splatter over Captain Drake’s shiny boots. Amelia and Captain Drake stared at each other in disbelief for one mortifying instant before she felt her stomach clench again and pressed her gloved hands against her mouth. “A bucket!” Captain Drake bellowed. Jennifer Moore is a Passionate reader and writer of all things romance, helping her find balance with the rest of her world, which includes a perpetually traveling husband and four active sons, who create heaps of laundry that are anything but romantic. Jennifer has a BA in linguistics from the University of Utah and is a Guitar Hero champion. She lives in northern Utah with her family. You can learn more about her at authorjmoore.com. 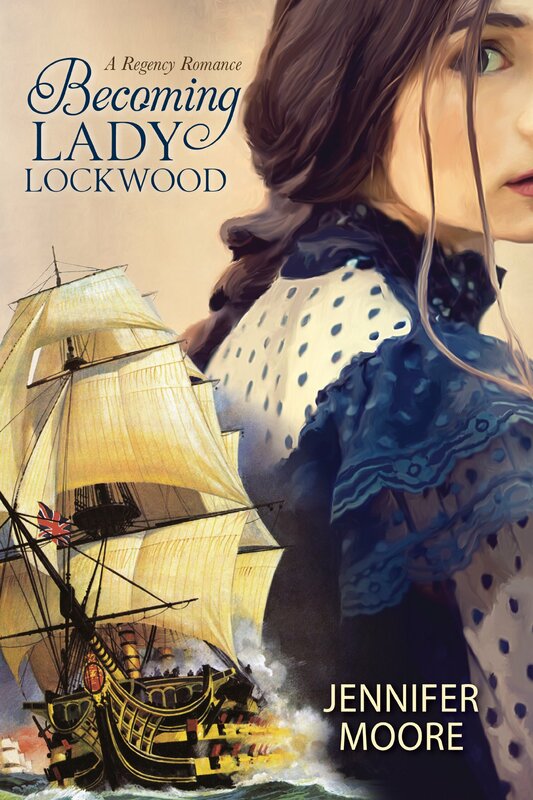 The author’s first book, Becoming Lady Lockwood, is a regency romance centered on the British navy during the Napoleonic Wars of the early 1800s. Left with no choice, Amelia joins the captain on his return voyage to England, and the two quickly find that ship life does not allow for evasion. Amelia and William are ceaselessly thrown together, and amidst fierce storms and ocean battles, what began as antipathy seems to be evolving quite unexpectedly. But as they draw ever closer to their destination, will the impossibility of their circumstances shatter any hope of a future together? I sometimes get in serious reading slumps, when I just can’t find a book to fit my mood. I was in one when Becoming Lady Lockwood arrived in the mail. I think I may have cheered for several reasons. 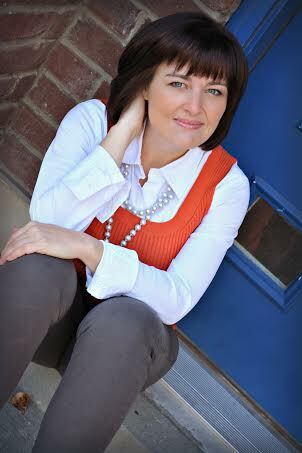 One, I took the author photos for Jennifer and two, I am a huge fan of both historical fiction and maritime tales. Jennifer Moore sweeps readers away to an adventure on the high seas between Jamaica and England. Lady Lockwood has just been widowed in a marriage of convenience. Having never met her husband, she is actually happy to be unattached and now able to avoid the societal pressures that come with being single. She is headstrong and independent with a fortune of her own wrapped up in sugar, when Lord Lockwood’s brother appears. A marine captain, he’s been sent to summon Lady Lockwood back to London. There is friction, of course, as the captain calls our main heroine by her maiden name–Amelia Beckett while on board his ship. He is out to challenge Amelia and his brother’s arranged marriage and reclaim all of the family fortune. Sailing through enemy waters in time of war makes for a dangerous journey. I absolutely loved every page of this clean Regency romance. Jennifer’s characters were enjoyable, even side characters had personalities to remember. They have a lot of growing to do. There is mystery, intrigue, and action to keep readers turning pages. I highly recommend this one to fans of Julianne Donaldson and Sarah M Eden. It is a clean pick with historically correct factoids and a unique plot. Well done Jennifer! Can not wait to read all Ms. Moore has up her sleeve in the coming years. Thanks to Jennifer and Covenant for the sneak peek.